We can make your dream of buying a property in this part of Spain a reality. This area on the Costa Brava covering the beautiful golden triangle of Palamos, Santa Cristina and Sant Feliu de Guixols offers everything from beautiful beaches, to majestic mountains with alpine skiing. It is truly a magical location. From the moment your offer is accepted, we will make the journey hassle-free. First, we find you the right mortgage, supervise the purchase process and finally accompany you to the Notary. Years ago, on moving to the Costa Brava, we discovered how indispensable it was to have someone who knew the ropes, who spoke the language and who understood the buying and selling process, and now, we can do that for you. You are excited, you have found the Ideal Costa Brava property. You make an offer. This offer enables you to look at your financial status and the possibilities of purchase. Step 2: Once the price is agreed, we draw up a preliminary sales agreement for discussion and signature. Within five days of signing the preliminary sales agreement, a deposit of 10% of the sale price is required. This is a guarantee both for the seller and you. 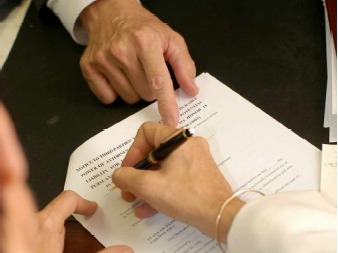 Both parties commit to a transfer of the property by the Notary within an agreed period. You receive a final purchase agreement a few days before the Notary Transfer document is signed. We go together to the Notary for the signing of the Notary Transfer. On the signing of the document, you must pay the outstanding balance of the property. Once this is done, the house is yours! Your name appears on the property register and we will organise the transfer of all the usual services such as water, electricity, gas, telephone and so on. To discuss the purchase of a property in Spain, a home in Catalunya, or an investment in the Costa Brava, please don’t hesitate to contact us.